NY: Scribner, 2002. Book. Very Good. Boards. First Edition.. 459 pp. Light wear, some soil to fore edge, no markings. Light creasing of front panel of jacket. 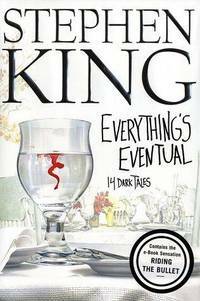 Collection of 14 short stories, each with a short foreword or afterword by King. Size: 8vo -- 9.75 in Tall. NY: Scribner, 2002. Book. Very Good. Boards. First Edition.. 8vo -- 9.75 in tall. 459 pp. Light wear, no markings. A few dark smudges on fore edge, else clean. 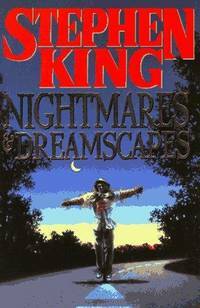 Collection of 14 short stories, each with a short foreword or afterword by King. Size: 8vo -- 9.75 in Tall. NY: Scribner, 1999. Book. Near Fine. Cloth Tape & Boards. First Edition.. 523 pp. Close to new, slight soil on jacket fore edge, tiny stain on bottom edge. A collection of 5 connected narratives, stemming from the 1960s and America's angst generated by Vietnam War. Size: 8vo -- 9.5 In Tall. NY: Harper, 2008. Book. Very Good +. Trade Paperback. Uncorrected Proof.. 366 pp. Close to new, no spine creasing. Text clean. Uncorrected proof of a collection of 28 early mystery stories by Block. 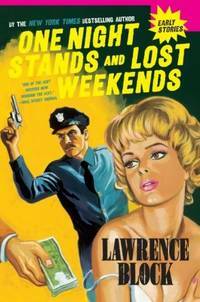 Cover shows a blonde, a copy with gun upraised and a hand with a wad of money. Some of the stories feature detective Ed London as the hero. Size: 8vo -- 8 in Tall. NY: Penguin Books, 1984. Book. Very Good. Trade Papeback. First Thus.. 378 pp. Vertical crease front cover along the spine, light toning, else lightly used. Sticker remains on rear cover. No markings. Binding firm. A collection of 25 short crime stories. 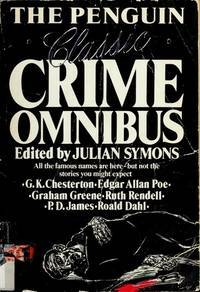 Writers represented include Ambrose Bierce, John Dickson Carr, Agathie Christie, Graham Greene, Ellery Queen, Dorothy Sayers, William Faulkner, Arthur Conan Doyle, Roald Dahl, many more. Size: 8vo -- 8 in. Tall. NY: Platt & Munk, 1964. Book. Illus. by Greene, Hamilton. Very Good. Cloth. Lightly read, sturdy, slight rubbing of spine edges. End paper is stamped "Grosset & Dunlap Damaged Books" but there is no significant damage visible. A few spots of soil on top edge. Lacks jacket. 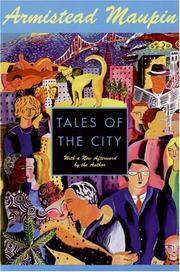 An anthology of 30 canine tales by such authors as Steinbeck, London, Thurber, Mowat, Meek, Seton, Kipling and Terhune. Introduction by Farley Mowat. Illustrations at start of each story. Collie design embossed on red front cover. 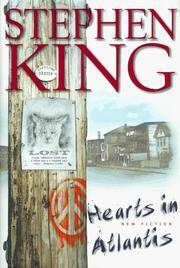 Size: 8vo -- 8.75 in..
NY: Summit Books (Simon & Schuster), 1988. Book. Near Fine. Cloth Tape and Boards. Firsrt Edition.. 217 pp., dj flap creased, price clipped. Else fine, no markings. Binding sturdy. A tapestry of Hasidic tales in which Raphael searches for Pedro and encounters a clinic where patients believe they are Biblical characters. Size: 8v0 - 9.25 in Tall. Garden City , N.Y: Doubleday, 1946. Book. Good -. Cloth. Later Printing.. 338 pp. Heavily rubbed and faded spine, with raw board backing visible. Corners bumped. Text clean. Artistic bookplate on endpaper. 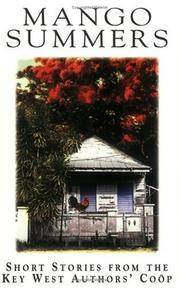 Collection of short stories set in a fiction suburban area near New York City. The 1946 Doubleday edition touched off a censorship lawsuit, and the book ended up being banned in the U.S. Wilson revised a later edition slightly (but not omitting the sexual material) and the book was sold without challenge. Size: 8vo -- 7.75 In Tall. Gainesville, Florida: University of Florida Press, 1989. Book. Illus. by Van Riper, Jeanne. Fine. Trade Paperback. First Thus.. 317 pp. Virtually new, no markings, crisp, no spine crease. Text clean. 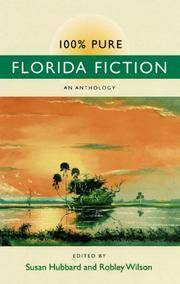 A collection of 17 stories set in Florida. Authors range from Stephen Crane, Ring Lardner, and Ernest Hemingway to Zora Neale Hurston, Gore Vidal and Philip Wylie. Editor is an English professor at the Univ. of Florida. Size: 8vo - over 7¾" - 9¾" tall. NY: Hyperion, 1994. Book. Near Fine. Cloth & Boards. First Edition Stated.. 229 pp. Flat-signed by author on title page. Nearly new. Perfect except for crinkled edge of p. 187, possibly a production error. Mylar protector on jacket. Sarris, a UCLA professor who also is chief of the Mowak tribe, offers 10 related short stories describing gritty Native American life in northern California. Size: 8vo -- 8.75 in Tall. NY: Modern Library, 1934. Book. Good. Hardcover. Reprint.. 420 pp. Dark green cloth, but with inch- wide spot of severe rubbing on right lower corner of front cover. Gilt torchbearer logos intact. Text clean, no writing. Light toning. Decorative endpapers. DJ moderately worn with tear in lower right corner, tattered on spine. A collection of 7 short stories, with introduction by Dorothy Canfield. No. 54 in Modern Library series. $1.25 price sticker placed on inside flap. ML booklist ln inside of dj. Size: 12mo -- 7 in Tall.